San Diego's premiere pinball tournament -- The Biggest Flippin Loser is back for its 3rd year! The tournament will again feature the fan favorite Critical Hit group knockout style. Players will battle in a RPG type adventure by casting spells to steer the tournament in surprising ways. ? As always, TBFL is designed to provide an incentive to shed those extra pounds gained during the holidays. Losing weight isn't required but can be a rewarding way to earn spell cards and raise money for charity.
? Players will receive 2 spell cards upon check in.
? Players will receive 1 additional spell card for each 3 pounds lost by that player (up to 4 additional cards).
? Players who have not lost 3 pounds will receive 1 additional spell card if they are at a "Normal" body mass index range (as established by U.S. Department of Health & Human Services Guidelines).
? Each round, players will have the opportunity to earn an additional spell card by completing an objective on the their machine.
? Note: No player may hold more than 6 cards at a given time. ?Tournament fee: $20. However, everyone that comes will get one roll. Rolling a Critical Hit  gets you FREE ENTRY into the tournament!
? 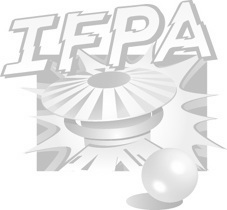 IFPA fee: $1 per player will go to the IFPA so that all players are eligible for World Pinball Player Ranking points.
? Player names will be written on a blank playing card.
? The deck of names will be shuffled each round to randomly deal groups of 4 (and occasionally 3).
? Each player then rolls a D20.
? The player with the highest roll in their group gets choice of game/position. The next highest roll gets second choice and so on.
? If a player rolls a Critical Hit , they get both game AND position choice. Only open games can be chosen, no waiting for games.
? The bottom two scores after each match will receive a strike. In 3 player groups, only 3rd place receives a strike.
? A player is eliminated from the tournament after 4 strikes.
? Invert (allowing you to swap your deck with someone in your group) cannot be used until Round 2.
? Deflect Death cannot be used in a 2 player group.
? When down to the final 8, each player can only select each game ONCE until all selections have been exhausted. WHAT SHOULD I DO (not required): Starting January 1st, you can submit your starting weight (which will be kept private) by e-mailing a photo of yourself on a scale displaying your weight to Kyle Smith (krs10025@gmail.com). Please include "The Biggest Flippin Loser" in the Subject line of your email. We will also be bringing a scale to certain local tournaments so you can weigh in should you choose. Your final weight will be taken when you show up to the tournament to determine how much weight you've lost, and thus how many spell cards you've earned.
? Please remove your shoes for the weigh in.
? Please wear the same clothes or a similar type of clothing that you plan to wear to the tournament. If you wear jeans and a heavy sweater for the weigh in photo but show up in shorts and a tank top for the tournament, the tournament director may add weight to your final weigh in result to maintain fairness.
? Your photo should include your face so that we can verify that it is actually you on the scale. You may need to send multiple pictures so that we can see both you and the weight on the scale clearly. An example of good weigh in pictures are pinned in the Event post below. The example pics are selfie style, but feel free to have someone take your picture if you prefer.
? Gameplay of this event will be streamed via Twitch channel SDPINBALL. Follow us to be notified when we go live. Feel free to contact the hosts with any questions. See you there!